At QuiBids, we strive to provide a unique and entertaining shopping experience for all users on our site. We’ve incorporated elements of gamification into our model such as the newly released QuiBids Games, where bidders can choose from a great selection of games and win tons of free bids. Additionally, QuiBids provides bidders with the opportunity to earn Badges, which come with free bids as a reward! If you’ve ever purchased the Starter Bid Package on QuiBids, then you’ve already earned your first badge! However, to receive the free bids or to have the badge displayed on your profile, you must first claim your badge. To claim your badge, you must first visit My QuiBids, then click the tab labeled My Badges. 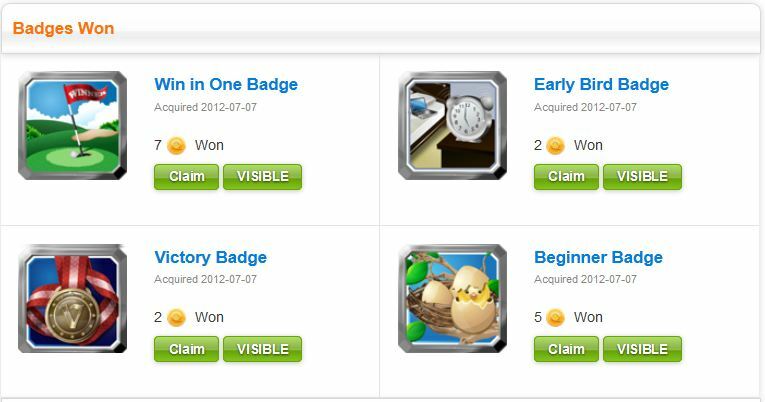 From here, you will see a list of badges you’ve won with a green Claim button next to the unclaimed badge(s). Click this button to claim your badge. The button will turn gray if the badge has already been claimed. If you followed the above steps and are still having issues claiming your badge on QuiBids, feel free to contact support@quibids.com and we will make sure that your account is credited.